Alexander Hamilton will stay on the front of the $10 bill, and Harriet Tubman will boot Andrew Jackson from the face of the $20. 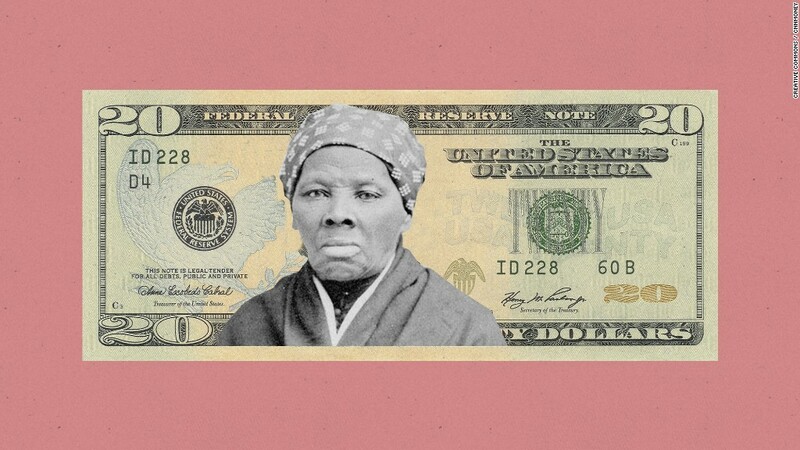 After months of debate and controversy over how to incorporate a woman's portrait onto the $10 bill, Treasury Secretary Jack Lew announced plans to redesign the $10, $20 and $5 bill. All three denominations will have a female presence. The updated bills will also be the first in U.S. history to include a tactile feature to aid the blind. The redesigned $10 bill is expected to enter circulation by 2020, in time for the 100th anniversary of the 19th Amendment, which granted women the right to vote. It will also mark the first time a woman's portrait has appeared on U.S. paper currency in more than a century. A montage of women involved in the American suffrage movement -- Lucretia Mott, Sojourner Truth, Susan B. Anthony, Elizabeth Cady Stanton, and Alice Paul -- will be on the back of the $10. The ten was the bill that started it all. When Lew first announced his plan to put a woman on a U.S. banknote in June last year, the ten was the next bill that anti-counterfeit officials had slated for redesign so that its security features could be updated. 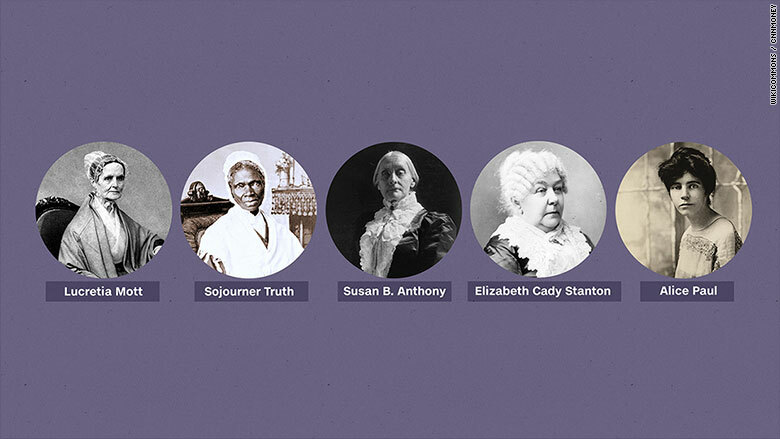 American suffrage movement leaders Lucretia Mott, Sojourner Truth, Susan B. Anthony, Elizabeth Cady Stanton and Alice Paul will be on the back of the $10. Lew also announced Wednesday that Andrew Jackson will move from the front of the $20 to the back, making way for Tubman. She'll become the first black woman ever to front a U.S. banknote. Tubman, who died in 1913 at the age of 91, escaped slavery in the south and eventually led hundreds of escaped slaves to freedom as a "conductor" of the Underground Railroad. After the slaves were freed, Tubman was a staunch supporter of a woman's right to vote. "What she did to free people on an individual basis and what she did afterward," Lew said. "That's a legacy of what an individual can do in a democracy." Lew said the $5 bill will keep Abraham Lincoln, the 16th president, on the front. The back of the bill will depict the Lincoln Memorial along with portraits of individuals involved in historic events that took place there. That includes Marian Anderson and Eleanor Roosevelt. The African-American opera singer and former first lady held a concert at the memorial in 1939 in an effort to move the civil rights movement forward. Martin Luther King Jr. will be added the back of the bill. The Lincoln Memorial was the site of his famous "I Have a Dream" speech in 1963. It's not clear when the $20 or $5 will enter circulation, though they're likely to be years behind the $10. Lew said Wednesday that he's instructed the Bureau of Engraving to "accelerate the process," but updating currency can take more than a decade. Nearly a year ago, when Lew first announced his plans for redesigning the $10 bill, he said it would feature a woman alongside Hamilton. He promised to spend time collecting public opinion, and it turned out that Americans had plenty to say about the matter. The question of which woman should receive this honor was hardly the only point of contention. Some argued that a woman shouldn't have to share her bill with a man. Others argued Hamilton shouldn't have to share top billing with anyone else. He was the nation's first treasury secretary, a key figure in the history of the American banking system, and Lew himself even called Hamilton a personal hero. There has also been a chorus of voices calling to replace Andrew Jackson on the $20. His legacy includes the "Trail of Tears," in which he forcibly relocated Native Americans, leading to the death of thousands.